According to a recent CMI survey, just 37% of B2B marketers and 40% of B2C marketers have a written content marketing plan in place. At the same time, content marketing continues to become more mainstream as a recognised channel. In many examples, the reason why so many content marketing strategies fail is because there is no business case. 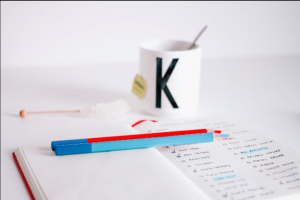 So there is a gap – there appears to be a lack of true understanding as to what and how content can help meet the many different types of organisational objectives. It’s clear that brands need to be offering a USP – “a reason for connecting and adding a utility to support their audience needs…something that users will go and search for..a service that helps the brand stand out from the competition and supports their wider business goals”. Where many content strategies fall flat is that they run right into the tactical elements of content marketing e.g. blog posts, videos, whitepaper downloads, PDFs – these are all fine to do but the mindset we are looking to change is to start with an organisation vision. The purpose of having an organisational vision is that a content strategy should encapsulate who the organisation is – How to do this? Think about bringing together all the various departments. and internal functions that are currently creating and have a remit or requirement to create content that is distributed outside of your organisation. What is it we are trying to do? What is the requirement for this content being produced? What is the pain point (the customer pain point) we are trying to address? From here, this should help you define better what it is you as a business is trying to fulfil. For example are we indeed trying to build a subscribed audience? Or is it to grow more leads or rather to just win more customers? What’s missing with the majority of content marketing initiatives is a lack of strategy or a framework from which to follow and most importantly, where the content strategy lives? It needs to encapsulate and involve your entire organisation. This is a platform built by AMEX to bring together small business owners where they can connect and discuss with other business owners the challenges they have in running their business. 2-Building a subscribed audience – there is a clear call to action associated with their content pages for business owners to sign up and receive valuable business advice. It’s a great example of building on the AMEX brand name and they type of audience and community it resonates with. Question: Is there a similar community associated with your audience your brand could be helping or could be building your story from? Before embarking on a series of running analytics reports from Google, consider creating “content groups” based on a distinct theme (or subject) – this will then help you better understand what content performs and how it engages with your users. is it to drive leads? is it to build a subscriber base? is it to drive revenue from advertising by generating page views? is it to promote products and services through an affiliate campaign? For my own website, it originally launched as a blog diary when I cycled Lands End to John O’Groats (LEJOG) and more recently it’s transformed into a digital marketing blog so the purpose of the blog has two very distinct audiences, Cyclists and Digital Marketers….an obvious mix?! Now I’ve created a content group, I can then pin point with more accuracy specific insights into better understand how this content is performing and what value I can be extracting to enhance this information. Geo – Where are your users based by location and language setting. Is your content geared up for a global community or is it very specific and tailored? Could this insight provide me with key spots across the UK where users are reading this information and could I build more awareness within those specific communities? User Flow – Track how your users enter your site and where/how they travel through your site – this provides you with a snapshot on the journeys taken and what content pages are driving more in depth site visits. Which of your channels are driving the most traffic to your content? -Organic Search – How dependent is your content on search engine optimisation to drive traffic? -Direct – How well is your brand name driving direct users to your site? What specific pages are driving the most direct traffic and why might this be the case i.e. is your content bookmarked, has it been referenced? Has your organisation been attending or speaking at conferences/events that has driven brand awareness? -Referrals – Who has been driving traffic to your site content? This provides you with a number of opportunities in helping you to focus on your key advocates as well as seasonal changes in referral traffic and the different types of referrers driving traffic to different content themes and groups. -Social – It’s very easy to jump on the social media band wagon and think your brand needs to have a presence on every single social channel imaginable! Pause. Stop. Analyse what is currently working, on which social channel and why this content works well on a given social media channel. All Pages – Provides an overall view of what content is performing and more importantly what content has been driving the user to complete a goal or objective. By creating content groups, this provides you with a much easier view of the content groups performing best (rather than you having to soft through endless pages of content – that’s if you’re a regular blogger). Make a note of the % of users entering your site at a given page and the length of visit. Content Drilldown & Landing Pages – These are also helpful report to give you a snapshot on current performance based on the URL of a given page and also what content is currently meeting the goal of the site. Search console provides some fascinating insights in taking your organic performance to more in depth information. To understand behaviour of users, these insights can also be categorised by Mobile, Desktop or Tablet providing you with an ability to filter results based on what device. 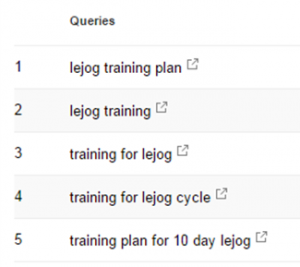 And search console will display all “LEJOG” queries that drove clicks to my blog. I can then filter these results based on what devices are used when clicking through to my site. Back onto the main Search Analytics pages, you can also get a better indication as to the types of queries driving clicks from search engines to a specific page on your site. By choosing pages and then clicking on a search page, this will provide a break-out list of the specific search terms that are driving search clicks e.g. By building out a content audit through search console of all pages driving organic search and then making a note of the wider terms driving search traffic, the provides a good foundation as to who and what content is currently driving awareness for your brand. As mentioned under acquisition reports within Google Analytics, Search Console also provides a list of Links to your Site under their search traffic menu. This gives a good indication as to the content you have on your site that has generated external links from other websites. When it comes to your SEO strategy, the art of link building could be seen as a specific tactic you might want to consider to help grow your brand authority. 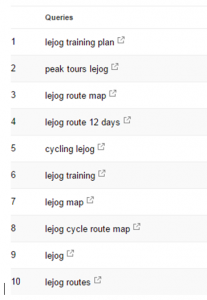 For my LEJOG content, below is a snapshot on a lejog article and the external links it has attracted from other websites. 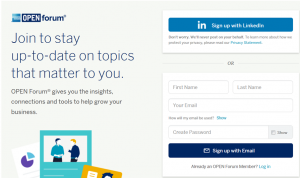 Buzzsumo is an analytics tool that provides you with some helpful insights into how content performs across social media channels. It measures certain engagement metrics across Facebook, LinkedIn, Twitter, Pinterest, Google+ (as well as how many external links have been generated from the article. As well as measuring your content performance across social media, you can also enter in competitor sites to gauge how well their content is performing through social and also by keyword. Moz – To get a better understanding of who is already linking to your content, Moz.com have their own tool known as www.opensiteexplorer.org – (OSE) a back link analysis tool to help you audit the types of websites linking to your content and more importantly, how authoritative those external websites are ranked by domain authority and page authority. The foundation for any successful content strategy is to ensure you’re building from the ground, up. It’s common with many content marketing strategies to jump straight into applying keyword research techniques and building out content. Screaming Frog takes you a step back from the more tactical steps of content marketing and helps you audit how your digital channels are operating in terms of errors, on page issues and many more key factors. An auditing tool that audits your links and social data from a number of different datasets such as number of tweets on a URL, or your sites Moz Page Authority. Although a paid tool, SEMRush does provide a free 14 day trial and I would highly recommend the tool to anyone considering building out a content marketing strategy. It’s built mainly to give you a better viewpoint of your website within the search landscape. You can analyse your domain and get insights into the search visibility of the brand, organic reach and current organic positions of keywords within the search engines. With all these datapoints, you should now have a spreadsheet of page URL and metrics that address the top level performance using one or a number of the above tools mentioned. This now gives you a platform to understand what and how your content is performing from a quantitative point of view. It should also be providing you with some insights into the who and how your content resonates with your audience and what you should be considering in build a USP as well as how a content strategy can help you deliver this tied to the organisation vision. This entry was posted in Content Marketing, Digital Marketing, Digital Strategy. Bookmark the permalink. ← Building Your Content Marketing Strategy – What’s Your Story?